Eight years ago today, on April 20, 2010, an explosion on the Deepwater Horizon Macondo oil well drilling platform tragically killed 11 workers, and started the largest marine oil spill in U.S. history, releasing millions of barrels of oil into the Gulf of Mexico. As the lead science agency for coastal oil spills, NOAA's Office of Response and Restoration provided mission-critical information to guide the emergency response, the natural resources damage assessment and the restoration plan. 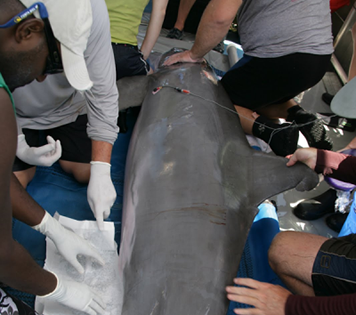 NOAA scientists continue their commitment to the Gulf as we report on the short and long term effects to the fish, wildlife and habitat injured by the spill, as well as the lost recreational use along the coasts of Louisiana, Mississippi, Texas, Alabama, and Florida. 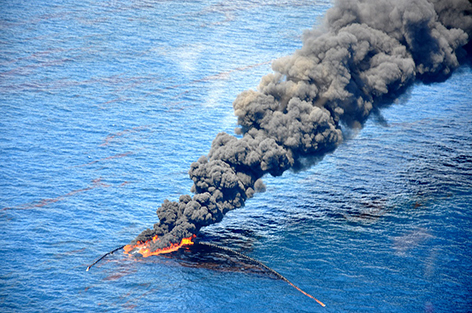 On April 4, 2016, the court approved a settlement with BP for natural resource injuries stemming from the Deepwater Horizon oil spill resulting in up to $8.8 billion for restoration to address natural resources injuries and lost recreational uses. This settlement concludes the largest natural resource damage assessment ever undertaken. Restoration, as laid out in the Trustees' comprehensive restoration plan, is now underway. May 24, 2017 — OR&R published a new guide for any organization interested in measuring recreational use at shoreline areas, fishing sites, and boat ramps affected by an oil spill. 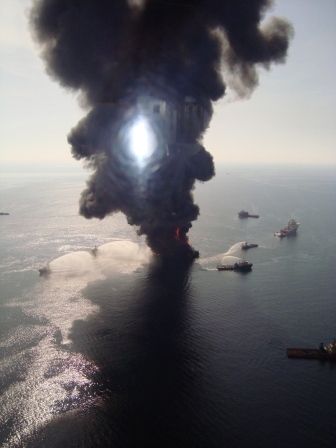 The resource titled, Best Practices for Collecting Onsite Data to Assess Recreational Use Impacts from an Oil Spill, builds off the processes and lessons learned from our experience conducting the NRDA for the Deepwater Horizon oil spill. Read more. July 6, 2017 — NOAA and partners released 21 baby terrapins on Chenier Ronquille barrier island, Louisiana. 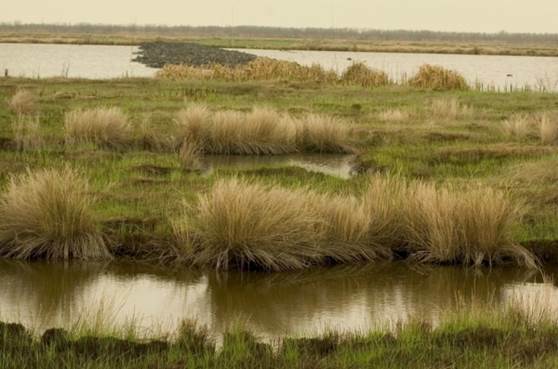 The island was restored using early restoration funding received after the Deepwater Horizon oil spill. Read more. 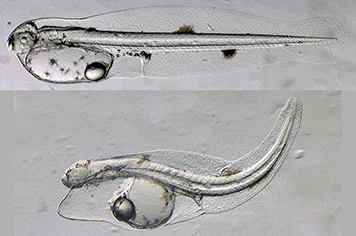 Jan. 1, 2018 — The second year of the Deepwater Horizon Oceanic Fish Restoration Project began. Throughout 2018, 10 vessel owners from Florida and Louisiana will refrain from pelagic longline fishing and receive compensation to help offset their potential loss in revenue. They are encourage to use alternative fishing gear, which specifically target yellowfish tuna and swordfish, and result in low mortality of non-target fish caught unintentionally as bycatch. Read more. 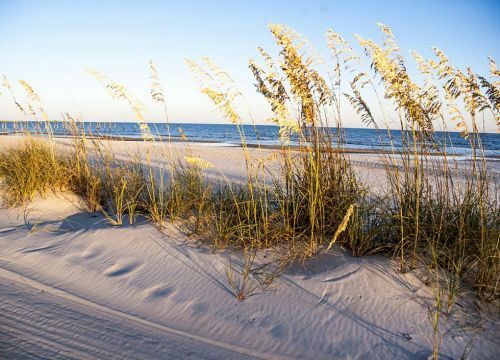 January 2018 — The Jeff Friend Trail at Bon Secour National Wildlife Refuge in Gulf Shores, Alabama, was reopened after closing for restoration last fall. The project includes new longer-lasting composite material boardwalks, several new viewing platforms, and easier-to-navigate trail materials. Replacement of this one-mile trail is one of the early restoration projects approved by the Trustees prior to the historic 2016 settlement with BP. Read more. To stay up to date on more restoration news around the Gulf of Mexico, visit the Damage Assessment, Remediation, and Restoration Program website or the NOAA Gulf Spill Restoration site. 1. A better understanding of the importance of floating oil. — Though the effects of floating oil had been noted in previous spills, the scale of these effects was not fully realized until Deepwater Horizon. 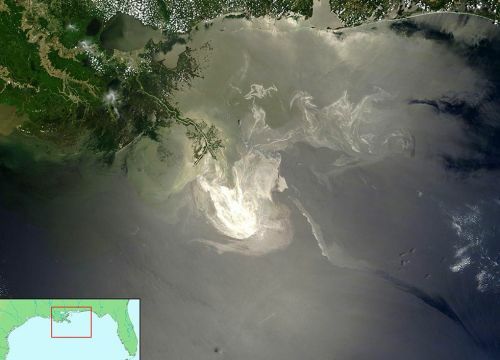 A view of the Deepwater Horizon oil spill from NASA's Terra Satellites on May 24, 2010. When oil slicks are visible in satellite images, it is because they have changed how the water reflects light, either by making the sun’s reflection brighter or by dampening the scattering of sunlight, which makes the oily area darker. Image credit: NASA. This ‘footprint’ persisted during spawning times in the same area as sensitive early life stages of fish and invertebrates. Even thin sheens were toxic to these life stages. 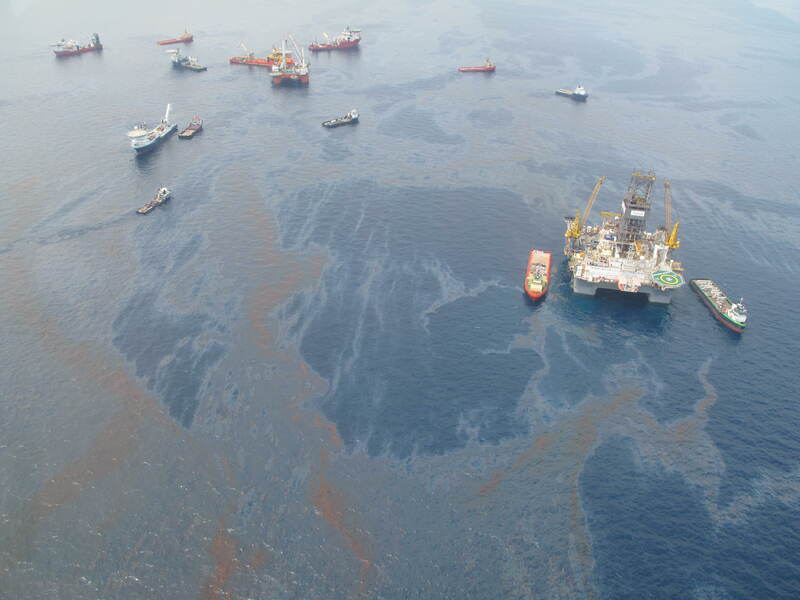 Mixed into the water column by wind and waves, the oil also became subject to ultraviolet (UV) light penetration, resulting in enhanced oil toxicity (also known as photo toxicity). Oil throughout the surface and the upper level of the water column also impacted marine mammals, such as dolphins, that regularly come to the surface to breathe, along with turtles and birds that congregate on the surface. 2. Advances in the use of remote sensing to characterize floating oil. — During the response and assessment phases of Deepwater Horizon, OR&R used remote sensing, including satellite, aircraft, and unmanned aircraft systems (UAS). Remote sensing has since become an integral part of modern-day oil spill response and further research and methods development studies have been conducted to validate and advance the use of remote sensing for incident response and assessment. 3. Incorporating underwater sampling technology into spill response and assessment. 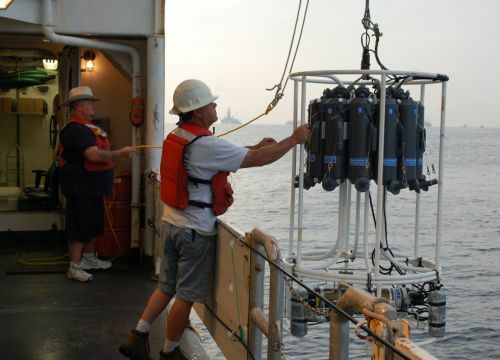 — OR&R researchers and responders recognized the important advances in the capabilities of remotely deployed sampling equipment, such as autonomous underwater vehicles (UAV) and remotely operated underwater vehicles (ROV) to characterize what’s going on in the water column. AUVs can dive below an oil slick and down into the water column, continuously recording measurements that provide information on oil concentrations and distribution in the environment. OR&R is actively working on development and testing for these for future responses and assessments, including developing sensors and remote sampling capabilities to conduct more comprehensive third water column characterization. 4. Improved data management. — With the data collected by hundreds of researchers over the years following the spill, there came a need for a central location where the data could be made available to assessment teams and attorneys for use in developing a claim. In 2015, NOAA launched DIVER as a digital data warehouse to support the Deepwater Horizon NRDA. Reddam, A., Mager, E.M., Grosell, M., McDonald, M. D. 2017. The impact of acute PAH exposure on the toadfish glucocorticoid stress response(link is external). Aquatic Toxicology. Volume 192, November 2017, Pages 89-96. Mullin, K. D., Trent McDonald, Randall S. Wells, Brian C. Balmer, Todd Speakman, Carrie Sinclair, Eric S. Zolman, Fawn Hornsby, Shauna M. McBride, Krystan A. Wilkinson, Lori H. Schwacke. Density, abundance, survival, and ranging patterns of common bottlenose dolphins (Tursiops truncatus) in Mississippi Sound following the Deepwater Horizon oil spill. (link is external) PLoS ONE, https://doi.org/10.1371/journal.pone.0186265(link is external). October 2017. R. C. Bishop, K. J. Boyle, R. T. Carson, D. Chapman, W. M. Hanemann, B. Kanninen, R. J. Kopp, J. A. Krosnick, J. List, N. Meade, R. Paterson, S. Presser, V. K. Smith, R. Tourangeau, M. Welsh, J. M. Wooldridge, M. DeBell, C. Donovan, M. Konopka and Nora Scherer. 2017. 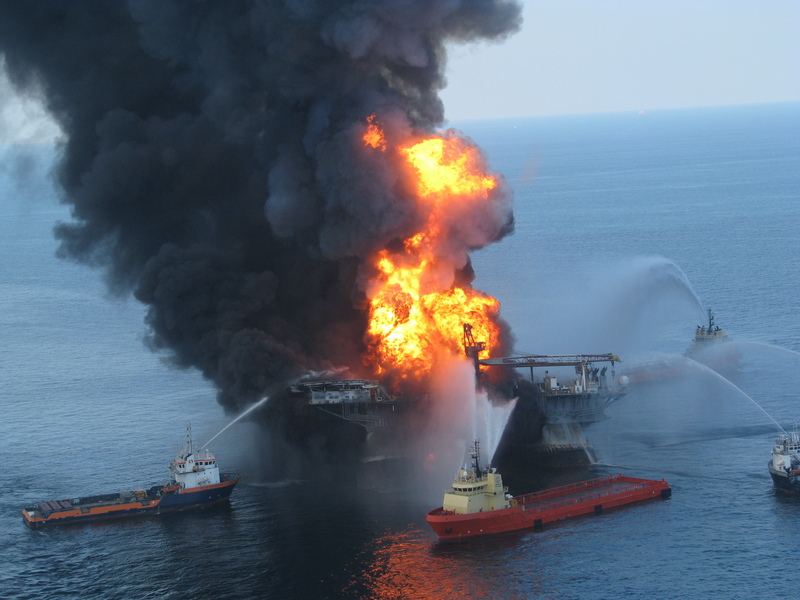 Putting a Value on Injuries to Natural Assets: The BP Oil Spill(link is external). Science, 356 (6335), 253-254. doi: 10.1126/science.aam8124. April 20, 2017. 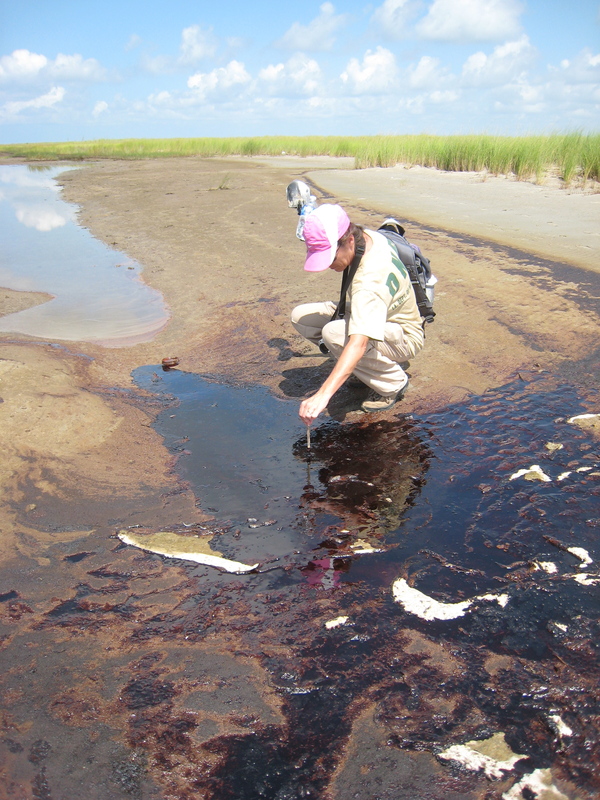 Response of Nearshore Ecosystems to the Deepwater Horizon Oil Spill(link is external). 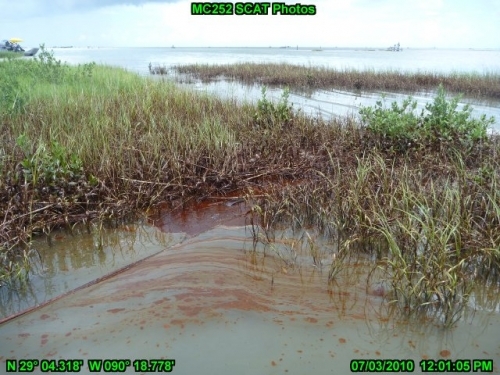 This Theme Section of Marine Ecology Progress Series details the effects from the Deepwater Horizon oil spill on several critical habitats and trophic levels within nearshore coastal ecosystems. Marine Ecology Progress Series. Vol. 576, published Aug. 3, 2017. View a full list of NOAA Studies Documenting the Impacts of the Deepwater Horizon Oil Spill and see our resource for Where to Find OR&R and other NOAA Information on the Deepwater Horizon Oil Spill .